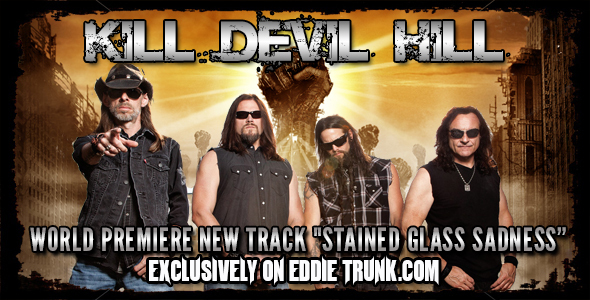 NEW KILL DEVIL HILL SONG PREMIERE! AN EDDIE TRUNK EXCLUSIVE! 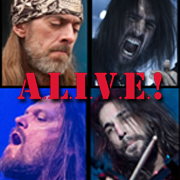 Kill Devil Hill, the Supergroup featuring Rex Brown (Pantera/Down) and Vinny Appice (Dio/Sabbath/Heaven & Hell) are releasing a brand new album, entitled REVOLUTION RISE, on Oct 29th. We’ve got the world premiere of a brand new song here! Check out “Stained Glass Sadness” below. Kill Devil Hill hits the road to support the album on Oct 26th. CLICK HERE FOR TOUR DATES. VIP Packages are available on all dates. Fans can attend Soundcheck, Meet the Band, and get some exclusive merch. CLICK HERE FOR VIP PACKAGES! A.L.I.V.E.! ; A TRIBUTE TO 70’S ERA KISS, (FEATURING MEMBERS OF PANTERA, GUNS N’ ROSES, WHITESNAKE & KILL DEVIL HILL) PREMIERE FIRST TRACK. LaFon approached each of them about participating in the project, and not only did they all want to support the cause, but they also shared a similar passion for 70’s era KISS. Rex and Tichy laid down bass and drums on Bumblefoot’s version of “Detroit Rock City” in which not only does Thal play all guitars, he sings all vocals. Tichy also tracked drums, backgrounds, rhythm and leads (along with Zavon) to Rex and Zavon’s version of “Larger Than Life,” which features Rex’s debut on lead vocals. The track can be streamed on the BandPage tab of the A.L.I.V.E.! Facebook page HERE! When the emails started circling, it became apparent that they all shared the same love for KISS in the 70’s. After hearing the finished tracks, they were all amazed at how much Thal sounded like Paul Stanley and Rex like Gene Simmons on their respective tracks. Someone suggested it might be fun to play these songs live, and A.L.I.V.E.! was born! A.L.I.V.E.! will perform material off of KISS’s hugely influential “Alive!” and “Alive II” records as well as some of their personal favorites! 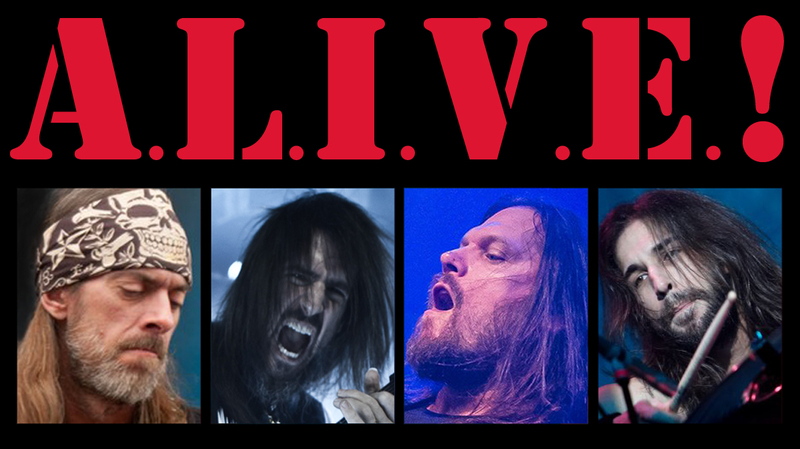 MEMBERS OF PANTERA, GUNS ‘N ROSES, WHITESNAKE AND KILL DEVIL HILL FORM A.L.I.V.E.! ; A TRIBUTE TO 70’S ERA KISS! This serendipitous occurrence came to be when Rex and Tichy laid down bass and drums on Bumblefoot’s version of “Detroit Rock City” in which not only does Thal play all guitars, he sings all vocals. Tichy also tracked drums, backgrounds, rhythm and leads (along with Zavon) to Rex and Zavon’s version of “Larger Than Life.” Rex makes his debut lead vocal on this track. When the emails started circling, it became apparent that they all shared the same love for KISS in the 70’s. At the same time, they all were all somewhat shocked by how much Thal sounded like Paul Stanley and Rex like Gene Simmons on their tracks. Therein lay the set up leading to the formation of A.L.I.V.E.! Please visit http://tinyurl.com/kyylxqb to listen to snippets of the songs that brought this all together! Black Sabbath: God Is Dead?